We are pleased to offer you a truly unique tasting experience unlike any other, A Taste of Calistoga. Our winery offers elegant wines from three of the finest wineries in Calistoga: Fairwinds Estate Winery, Valley Floor Vineyard, and Kenefick Ranch. We invite you to relax, enjoy, and have an amazing time in our modern joint tasting room, or for a more elevated experience you can choose from our seated Olive Grove or Cave tasting. Each of our seated tasting experiences is paired with our house-made charcuterie plates. The tasting room was the first building erected on our estate in 1969. Recently renovated and beautifully detailed with modern organic finishes of repurposed glass and reclaimed redwood, our tasting room is a warm and friendly environment at the forefront of our 5 acre estate. Tastings include our current releases. To join the wine club, visit www.fairwindsestatewinery.com or call 707-341-5300. 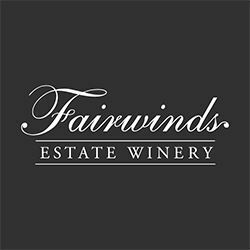 At Fairwinds Estate Winery, we are proud to share our limited production wine collection with you. Our wine club is more than an ordinary club – it is like being part of the family.